Greenhouse Megastore "Texan" Teaching Package - is designed for schools with large horticulture programs. The galvanized steel frame and corrugated covering are the same specifications used in our commercial production houses; however, this greenhouse can be easily adapted to add a head house or separate instructional area that makes it perfect for instructional use. Complete frame with Corrugated or 8mm Twinwall Polycarbonate Glazing for Roof, Sidewalls and Endwalls. (1) 6' wide x 6'8" tall double door and (1) 3' wide x 6'8" tall single door. (2) 50" Exhaust Fans with Slope-wall Housing, Guard and Shutter. (1) 4' tall x 35' long Evaporative Cooling Wall with 6" cooling pads. (5) 48" Motorized Inlet Shutters. 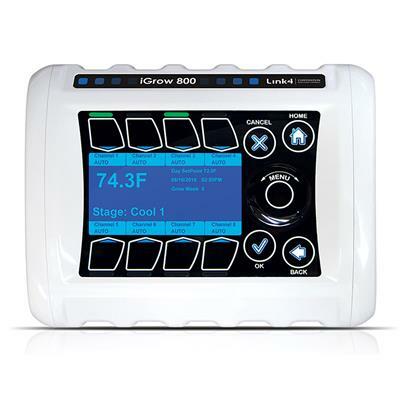 (1) iGrow 800 Environmental Controller with iGrow 100 Series Temperature & Humidity Sensor and Electrical Drawings. 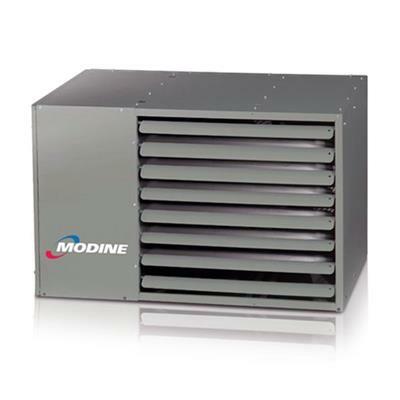 (2) Modine PTP175 Gas Fired Unit Heater (Natural Gas or Propane). (6) Horizontal Air Flow Fans. All commercial Gable 7500 Greenhouses are engineered to meet 85 mph wind and 30 pound live load per the UBC Building Code. Even higher load ratings and stamped engineered plans are available at extra cost. All galvanized steel frame insures maximum strength and life. Lexan twin-wall polycarbonate covering is UV resistant and carries a 10 year warranty against discoloration. Additional Accessories including evaporative coolers, benches, grow lights, shade cloth and irrigation systems have been designed to fit perfectly with the Gable Greenhouse. To view or purchase additional accessories, browse the Greenhouse Megastore or contact a Greenhouse Megastore Sales Representative Toll-Free at 1-888-281-9337. We purchased a 42 X 72 greenhouse from IGC and are very happy with it. Their crew did the construction of the building and did an excellent and very efficient job. They first told us it would take 10-12 days and they were done in 7 or 8. We had the concrete pad poured first and they attached the posts to the pad using special concrete bolts (redheads). Everything is working great. I have called our salesperson several times for help in getting the controls set correctly. He has been very helpful. During our spring sale several people from the community commented on how our greenhouse looks like a professional nursery! !